When I think of Nordic cuisine these days I immediately think of Noma and the genius of Rene Redzepi. Which is a bit unfair to the great expanse of food in the region, however it’s inevitable given the invisibility of Nordic cuisine in Australia. I mean outside of IKEA, how many Danish, Swedish, Norwegian, Finnish or Icelandic restaurants have you been to? For me, that number is ZERO! My theory goes that Nordic cuisine is intrinsically tied to the climate and seasonal produce of the region. It’s easy for us in Australia to have access to the ingredients to make an awesome Thai green curry for example, but Hákarl? Maybe not so easy…okay that’s a bit of an exaggeration, but then you try and recreate anything from the NOMA cookbook outside of…Denmark. 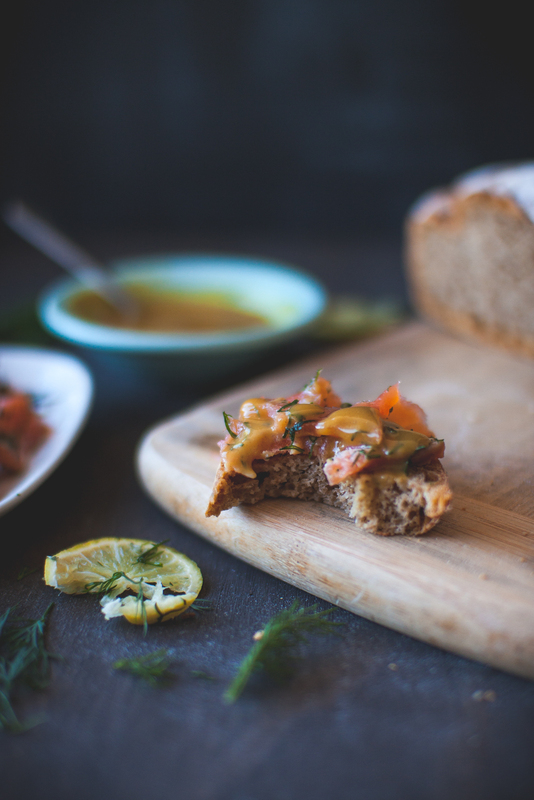 Luckily there are a few Nordic dishes which are easy and completely doable anywhere in the world, one is homemade gravlax, a type of cured Salmon. 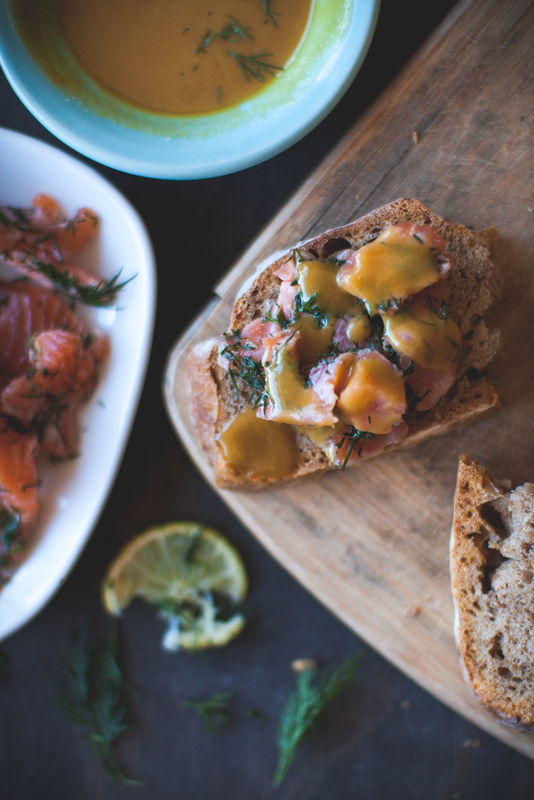 If you like smoked salmon then gravlax would be right down your alley. 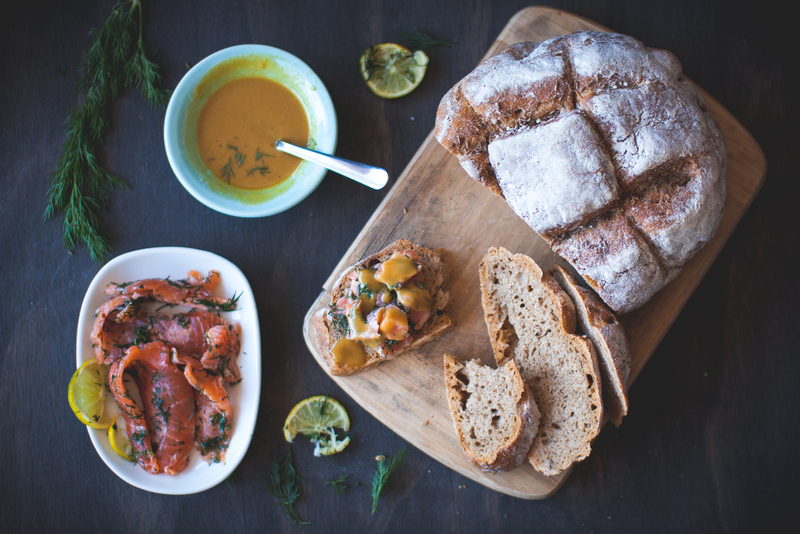 Served on some dark rye or crisp bread and you’re well on your way to your very own Smorgasbord. Combine salt and sugar in the same bowl, mix thoroughly. Place the salmon skin side down on a large piece of Clingfilm. Cover the salmon in the salt/sugar mixture. Then cover with the dill. Wrap the salmon tightly with cling wrap. Put it on a tray with a plate on top to weigh it down. 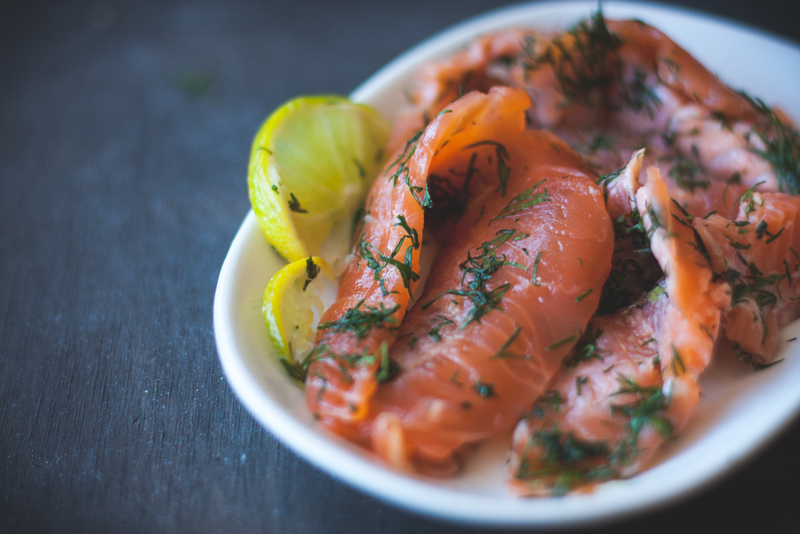 Refrigerate for 3-4 days, turning the salmon over every day. 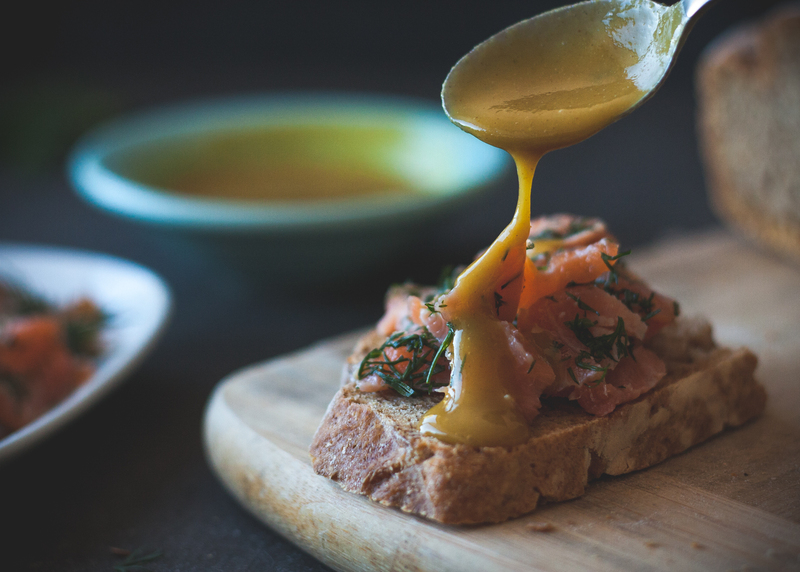 Once cured, slice thinly and serve on bread/crisp bread with the following mustard sauce and salt & cracked black pepper to taste. Mix the mustard, vinegar and sugar together until the sugar is well dissolved. Add the dill and mix well.